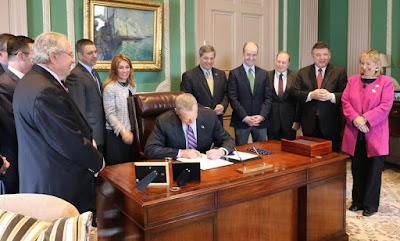 Yesterday, Governor Charlie Baker signed into law the new solar law that will give spark to solar energy generation projects across the Commonwealth. As one of the six legislators who negotiated the final version of the bill I am glad to have his support; as a state we have been at the leading edge of clean energy development. The bill lifts net metering caps and sets a balance between protecting ratepayers and incentivizing photovoltaic installations.